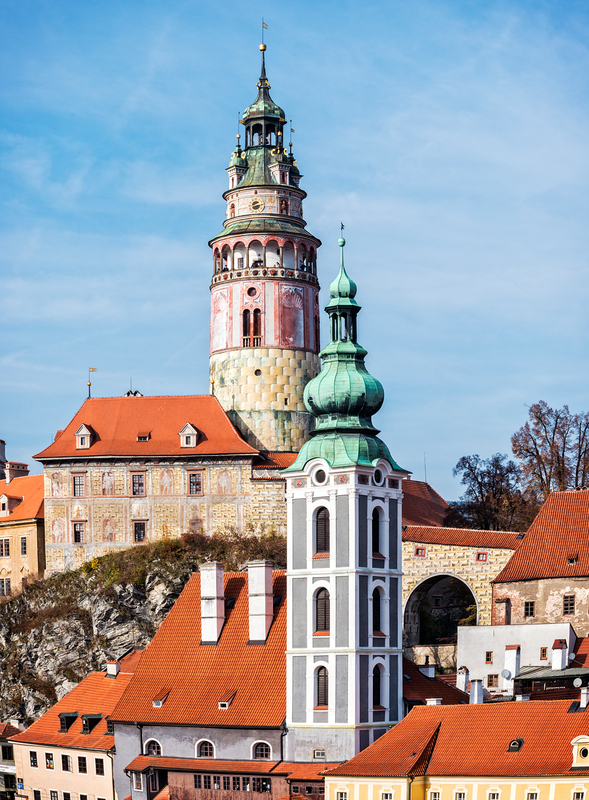 The original gothic castle, around which the town of Cesky Krumlov was built, was founded by the Lords of Krumlov around 1253. 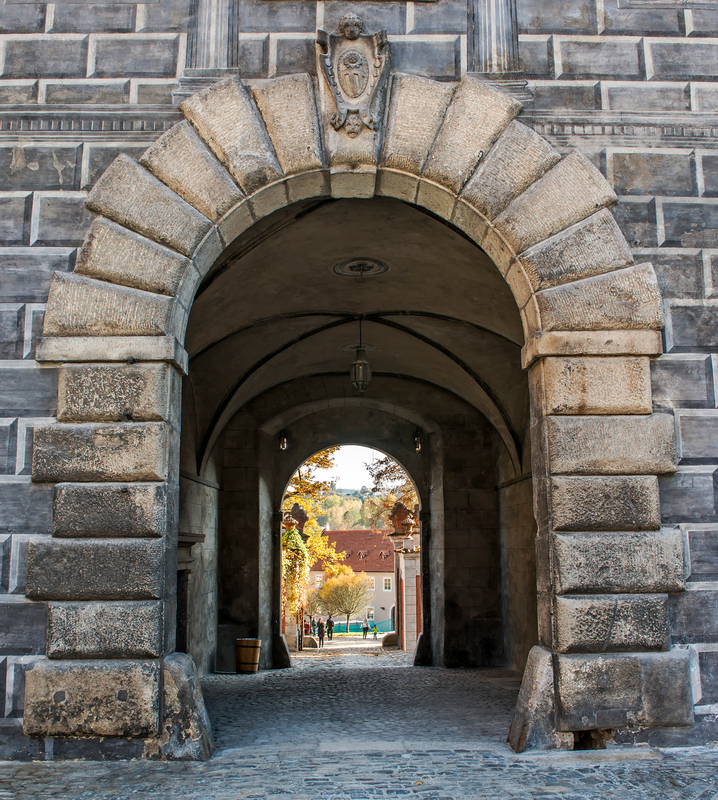 In 1302, the castle and town were inherited by the Rosenbergs, an aristocratic family related to the founders. 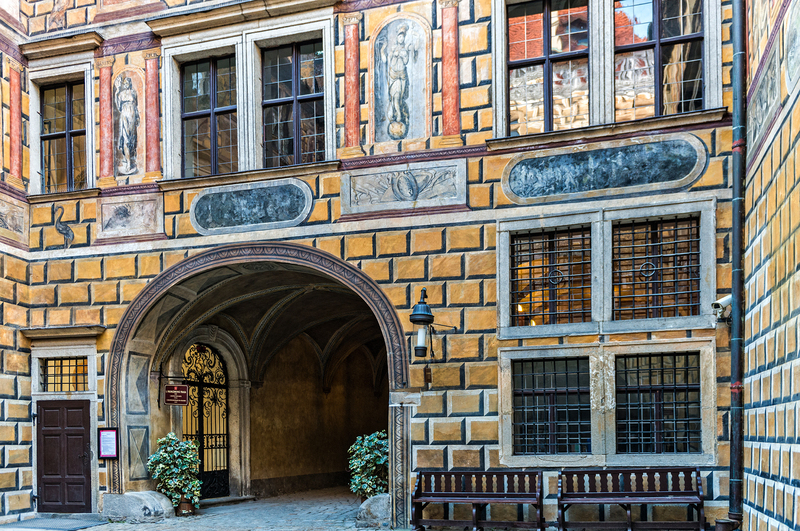 The House of Rosenberg ruled Cesky Krumlov until 1602. 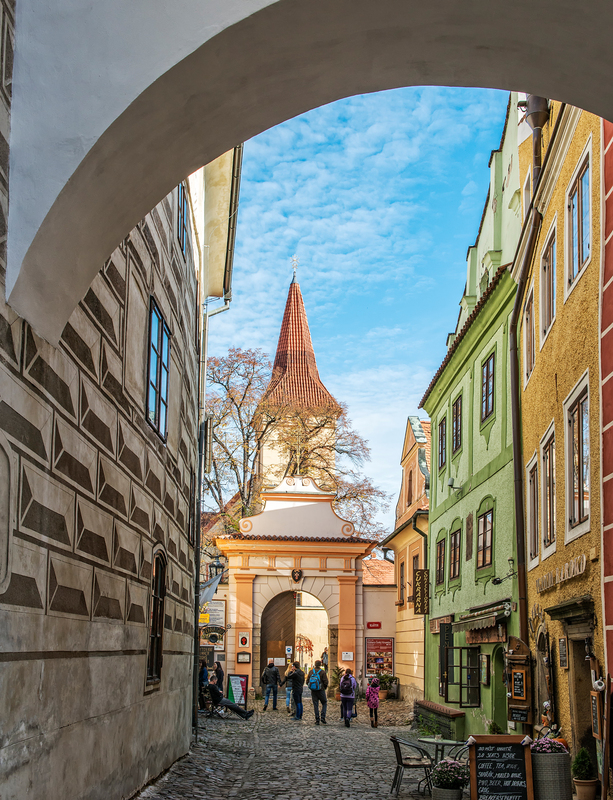 During this period, the castle was rebuilt in Renaissance style, and the town experienced its greatest prosperity, with rapid economic development, construction of new buildings, and the expansion of trade with other cities in the region. 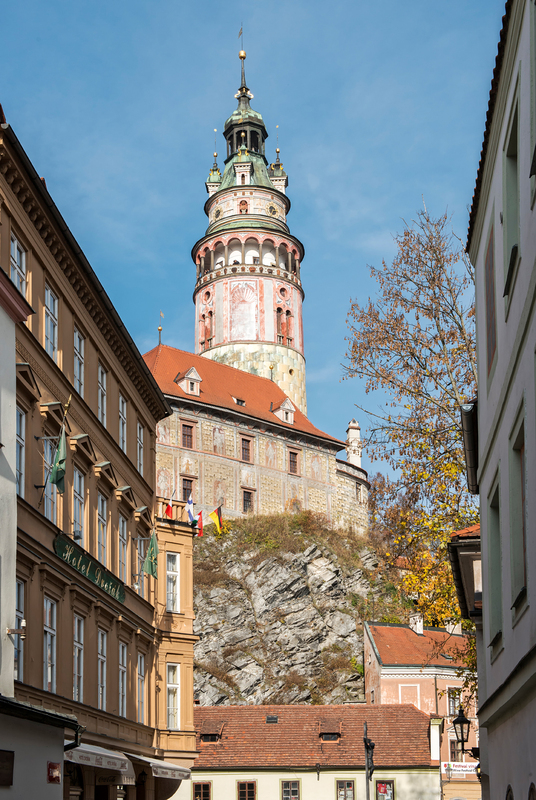 In 1602, the Emperor Rudolf II von Habsburg bought the Krumlov dominion. In 1622, it was transferred to the Eggenberg family. 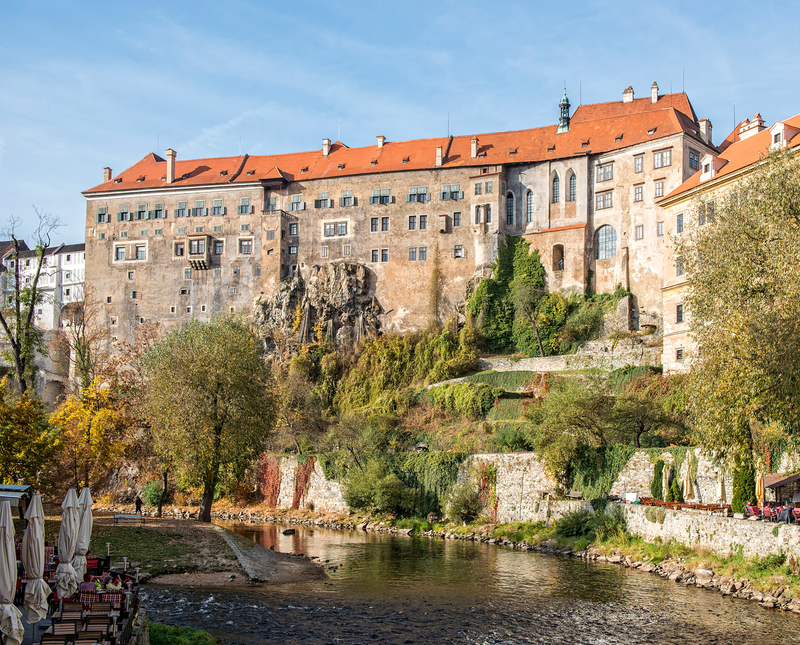 In the 1680’s, under the rule of Johann Christian I von Eggenberg, farming, construction, and the arts flourished, helping Cesky Krumlov rise out of a period of stagnation that resulted from the Thirty Years’ War (1618-1648). 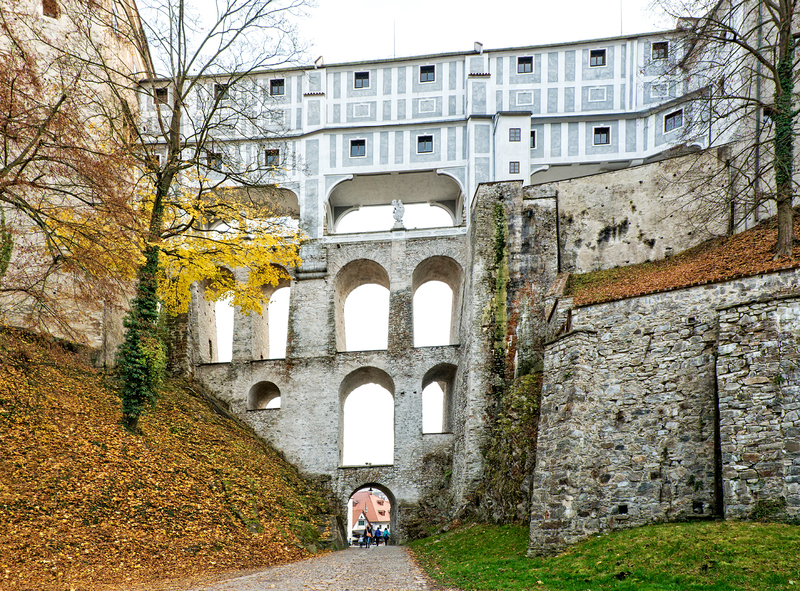 He also undertook extensive renovations and expansions of the castle in the baroque style. 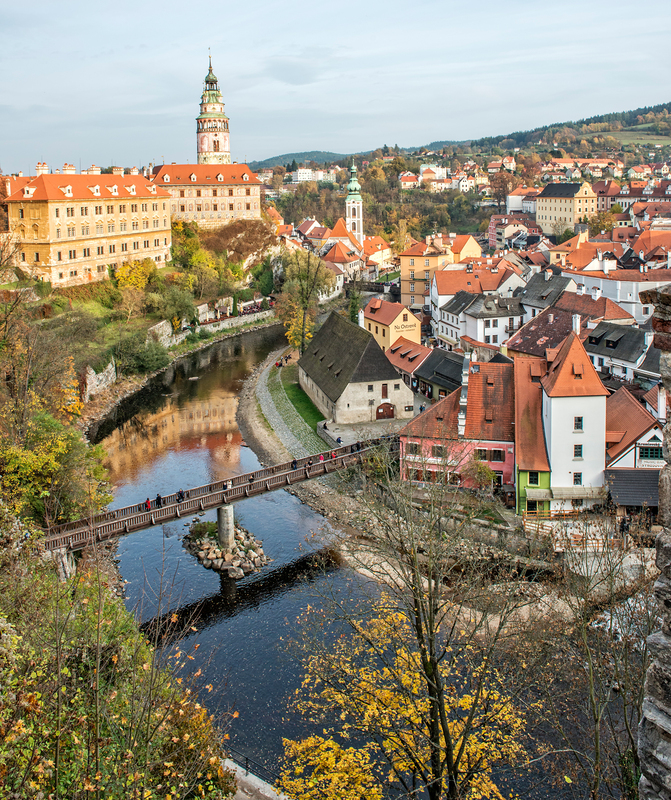 In 1719, a new dynasty, the Schwarzenbergs, inherited Cesky Krumlov. In the second generation of their rule, Joseph Adam zu Schwarzenberg undertook an extensive modification of the castle in the baroque style. 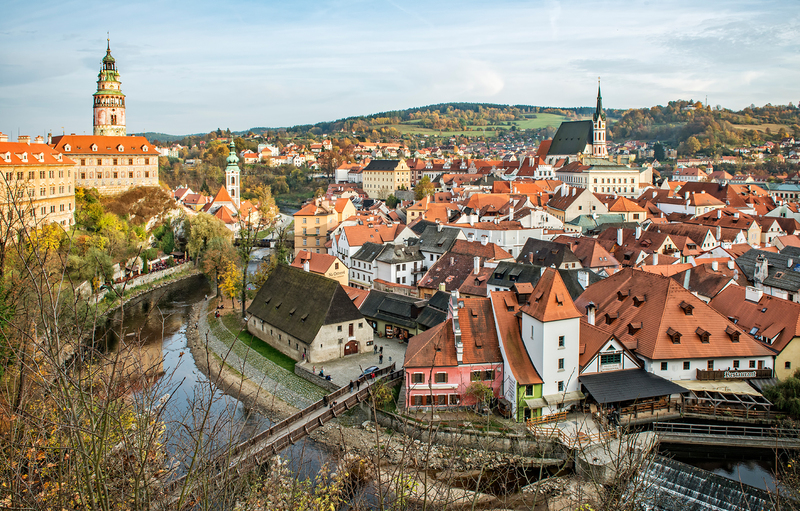 After World War I, Cesky Krumlov became part of Czechoslovakia. In 1938 it was annexed by Nazi Germany, as part of the Sudetenland according to the Munich agreement. 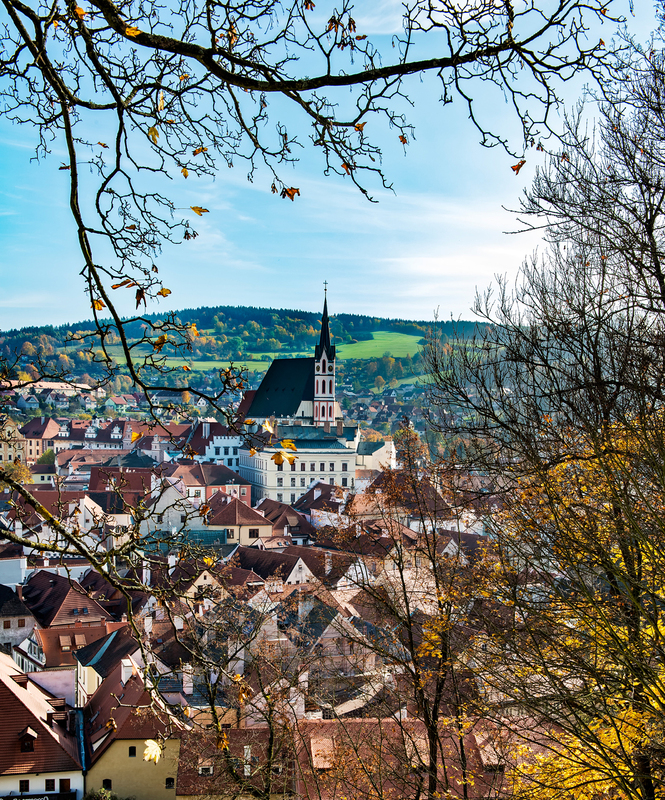 After World War II, the town’s German-speaking population was expelled and it was returned to Czechoslovakia. 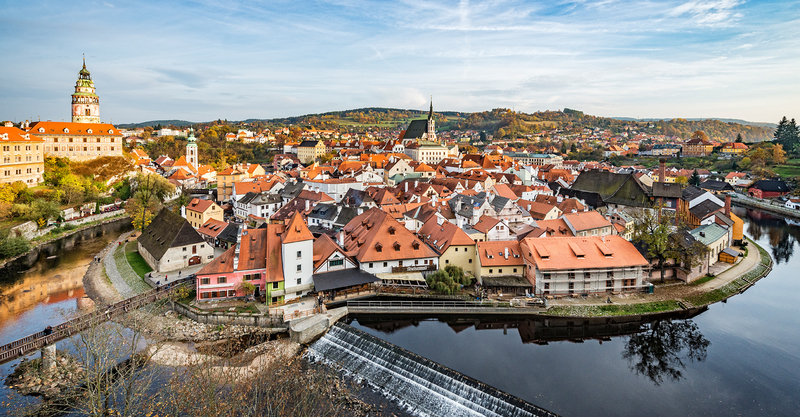 During the Communist era of Czechoslovakia, Cesky Krumlov fell into disrepair, but since the Velvet Revolution of 1989 much of the town’s former beauty has been restored. In 1992 it was designated as a UNESCO World Heritage site and it is now a major holiday destination popular with tourists. 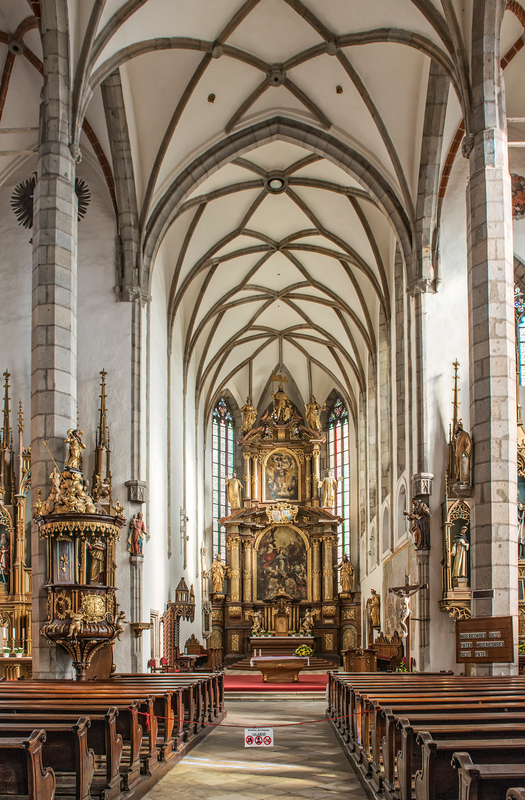 The steeple in the center of the photo belongs to the Church of St. Vitus, a gothic structure set in mostly Renaissance surroundings. 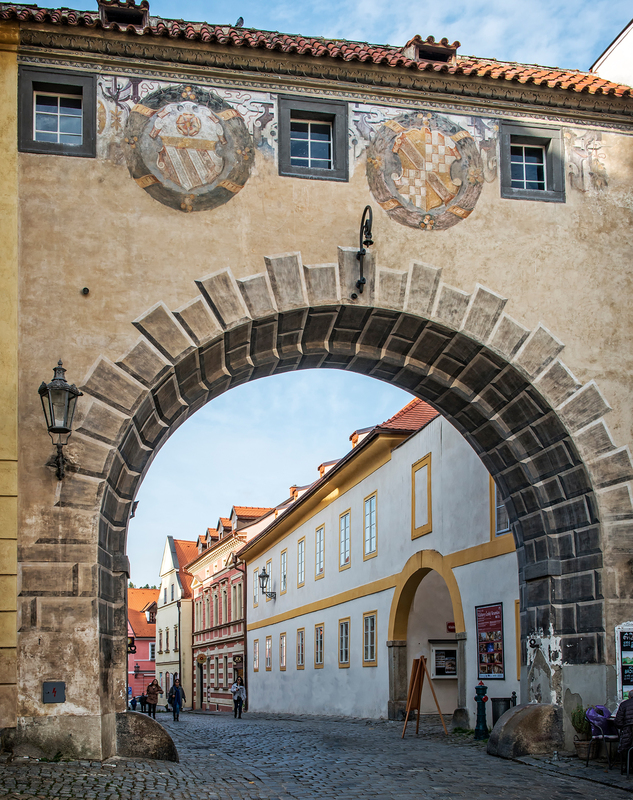 The seemingly three-dimensional stone blocks in the walls in the photo above are actually not stone blocks at all but are painted on a flat surface. 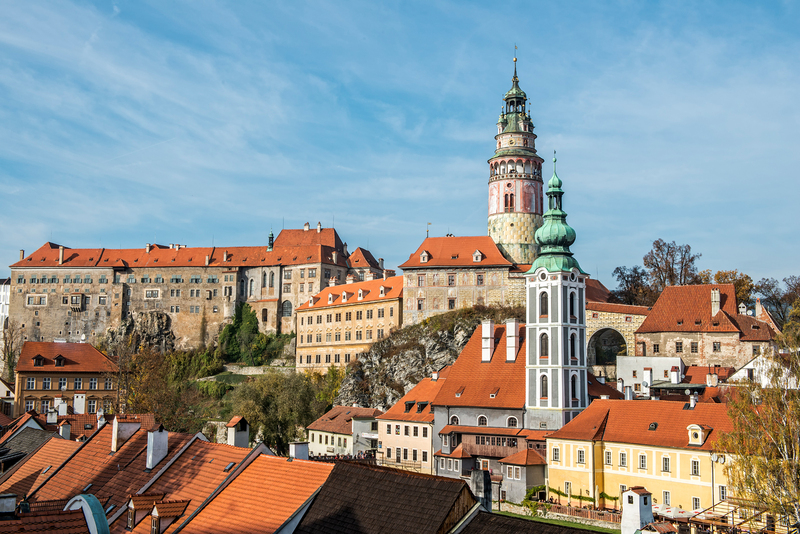 For visitors to Prague, one-day and two-day group and private tours to Cesky Krumlov are available from a variety of tour companies. The trip is well worth the effort. 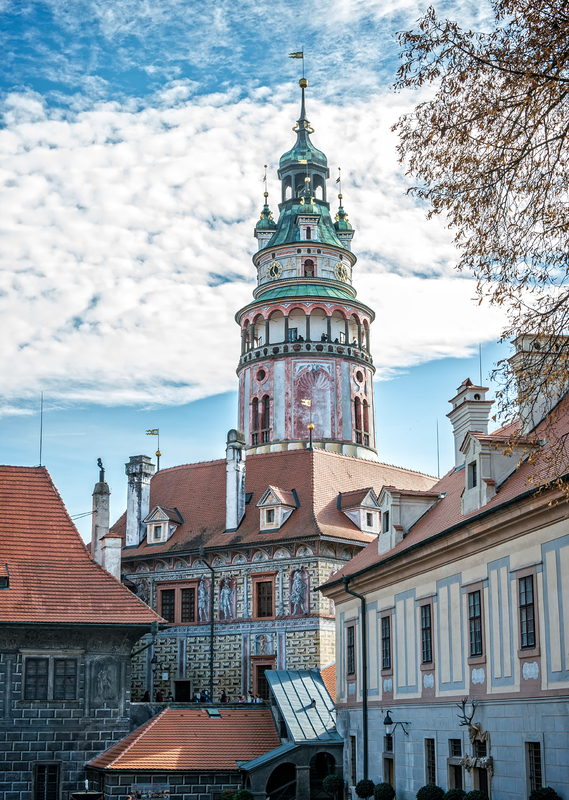 The photos shown in this article and other photos of Cesky Krumlov are available for viewing and purchase in full original resolution in the Cesky Krumlov Gallery of my photography website. For further information about my photography, please also visit my photography Facebook page.